Another good working day on the allotment. There had been a ground frost but by mid-morning the soil was workable. We had a second bonfire, burning up all the accumulated prunings. Wood ash is high in potash – which encourages fruiting – so that will be spread on the soil around the fruit next week. 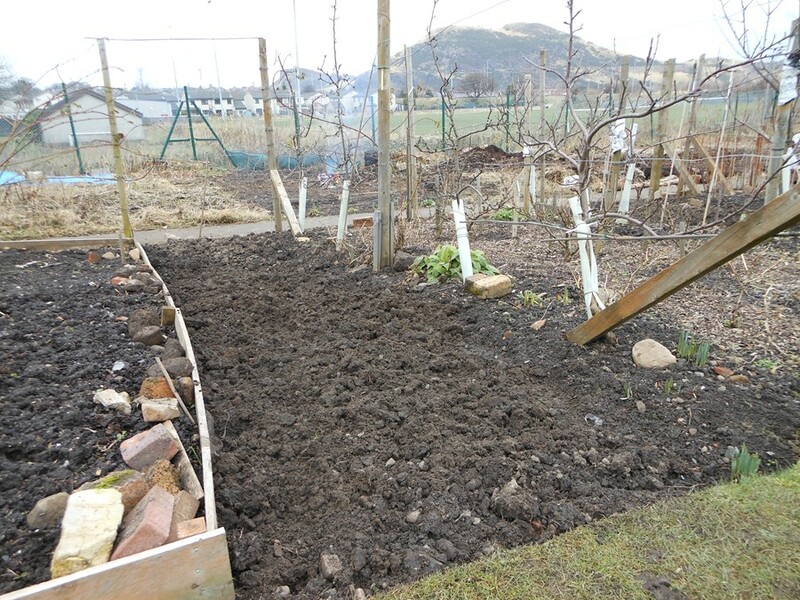 We finished removing the couch grass and dandelion roots from the cleared paths and next week we shall tramp down the ground, lay old compost bags to stop the weeds coming through, fork through them for drainage and put a good layer of wood chips on top. And now even less grass cutting! 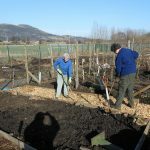 We moved onto the communal island bed adjacent to the plot and started clearing the couch grass from around the stems of the fruit planted there. 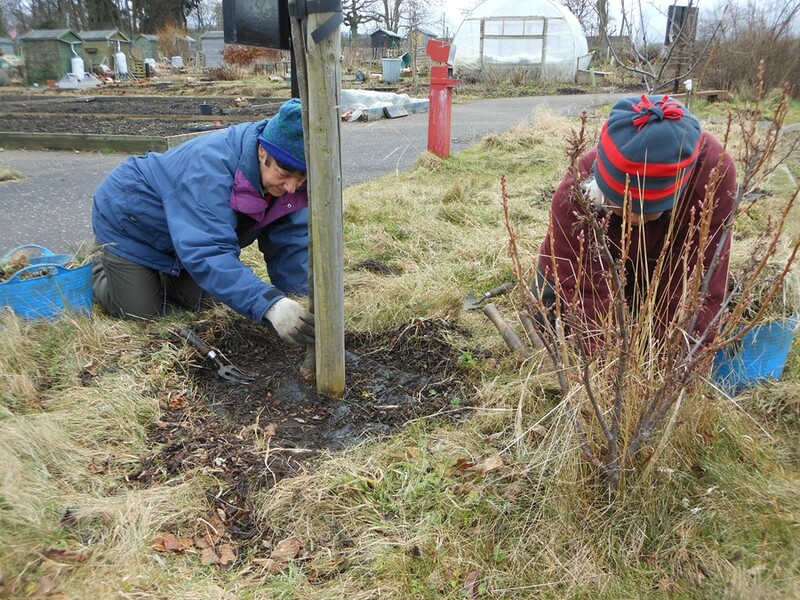 The grass and weed roots reduce the moisture and nutrients available to the bushes so if planting in grass there should be a metre of cleared space round the stem. It is tough work clearing couch grass but it needs to be done otherwise the trees and bushes will not flourish. Fertiliser can then feed the roots of the fruit, not the grass. We also did a rubbish clearance once again of the area where the leaf mould is and took two large bags to the recycling centre. 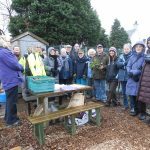 Last reminder for Potato Day Sunday 24 February 11am-3pm at the allotment site.